Meera Industries IPO is engaged in the manufacturing of Yarn Twisting, Winding and Heat-Setting Machine for textile industries. The company caters to the domestic market as well as exports the products to continents like America, South America, Africa, Europe and Asia and major countries like Germany, Spain, Turkey, Thailand, Belgium, USA etc. The company is capable of manufacturing both standardized as well as customized products based on the customer’s specific requirement. Its products are sold under the brand name “MEERA”. Meera Industries’ manufacturing unit is located at Surat, Gujarat and is spread over an area admeasuring around 7,882 square meters (approximately). The unit is well equipped with wide range of machineries and other handling equipment to facilitate smooth manufacturing process using globally adopted manufacturing SAP-ERP tool. It has in-house testing laboratory to test the products as per quality standards. 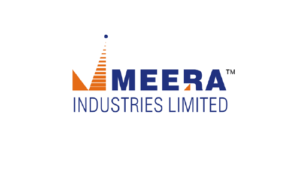 Meera Industries IPO allotment status is now available on Karvy Computershare’s website. Click on this link to get allotment status. You can also check allotment status using application number on this link. Anyone knows the listing date information. Does anyone has any idea about expected listing price for this? I can apply normal ipo like non sme? Decent IPO, am thinking of applying. Can someone help me where do I need to open share trading account to sell the SME shares? My broker Indiabulls doesn’t allow trade in SME shares.